Belgium also holds the releasable country of Zaire in Africa. It's mostly jungle while Leopoldville is mostly forest. Belgium had already been invaded by the German Empire in WWI. Most of the country was occupied, but in the end, it won and annexed the German state of Eupen-Malmedy. Belgium was yet again invaded, this time by the German Reich in WWII. The whole country was occupied as the British and French forces failed to hold the country. The Germans reannexed Eupen-Malmedy. Belgium was liberated by the Allies in 1944, pushing the Germans back. The Germans attempted to attack the Allied lines but failed. The Potsdam Conference following WWII gave Belgium its territories back. During the Cold War, Belgium supported the Western Bloc and joined NATO. Belgium, lacking a unique national focus tree, uses the generic national focus tree instead. Belgium starts with 3 research slots. Belgium is a Democracy with elections every 4 years and the next one is in November 1936. Belgium, because it is between France and German Reich, It may be invaded by the Germans to get around France's Maginot Line. Belgium may form the European Union if democratic or United Netherlands If it is able to annex the Netherlands and Luxembourg. Notably, Belgium has two unique tank designers, that are better than the generic armor company. 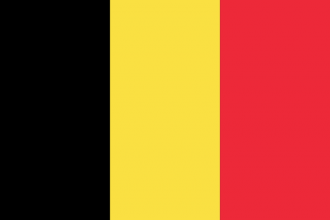 The majority of Belgium's industry is in The belgian mainland with 7 Civilian Factories and 5 Military factories in Vlaandered and 1 Military factory and 4 Civilian Factory in Wallonie. In the colonies, Leopoldville has 1 civilian factory. Vlaanderen has 48 steel while in the Congo, Stanleyville and Central Congo has 6 rubber each and Leopoldville has 3 tungsten. Belgium has a small military compared to its larger neighbors. 7 of Belgium's Infantry is 9 infantry units and an engineer company and is fully trained. 1 of the Infantry is placed in the Congo and is 6 infantry units. It has 2 cavalry units of 6 cavalry, engineer company and recon company. Its only motorized has 4 motorized units. It has 20 interwar fighters on the Belgian mainland. Have a good strategy for Belgium?